In the highly competitive smartphone industry it’s easy enough to make a name for yourself, but it’s a lot harder to make a profit while doing so. Apple and Samsung have long captured the lion’s share of the profits thanks to their flagship smartphones, which has forced the other handset vendors to fight for their own market share and profits. Due to the success of the duo, rival vendors have been focusing on an area where those companies are not as entrenched in (or not present at all in): the entry-level phone market. This is the traditional volume play, and while it can be profitable on the whole, the razor-thin margins and heavy competition from other vendors make it a similarly tough environment. And now it looks like there will be one less vendor competing in that market, as HTC has let it known that they will be exiting the market for entry-level phones. Earlier this week in the company’s quarterly earnings call, in a bit of a blink-and-you’ll-miss-it moment that the crew over at Phone Scoop picked up on, HTC announced that they would be leaving the entry-level phone market over the year in order to focus on more profitable segments of the smartphone market. Undertaking what amounts to a gradual draw-down, HTC is not discontinuing any phones or discontinuing support for those phones, but they will no longer be developing phones for the entry-level segment. 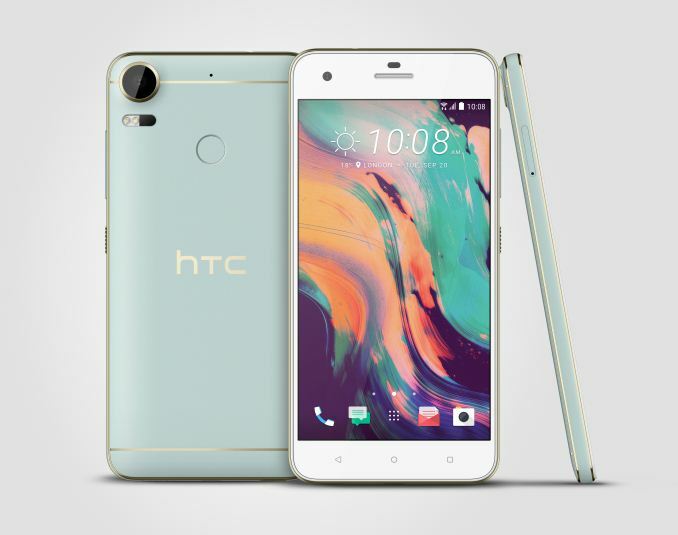 Which means that when phones like the Desire 10 series reach the end of their natural retail lifetime, HTC will not be replacing them with newer models. HTC’s struggles with profitability over the years are well known. While the company is and continues to be a major player in the smartphone market, they have been squeezed on all fronts; Apple and Samsung split the bulk of the high-end market, and meanwhile the company faces extremely stiff competition at the entry-level from Chinese OEMs, whom are very difficult to compete with on price. As a result, rather than trying to make the volume play work with the entry-level market, HTC has decided to focus on the more profitable mid-range and high-end markets. The challenge now for HTC will be clawing market share from Samsung and other vendors in those more profitable spaces. While the mid-range and high-end markets are easier to make a profit in – consumers aren’t so price sensitive and there’s more to a phone’s price than just its bill of materials – it’s still a difficult task since vendors still need to move phones in some volume in order to cover the R&D costs of these better phones. The good news for HTC is that the company appears to be on the right path in terms of handset design after the HTC 10, but and the end of the day they still need to overcome consumer inertia and convince potential customers to leave Apple/Samsung. Finally, HTC’s exit of the entry-level market means that the company expects to introduce “six or seven” new phones for 2017. We’ve already seen their first two phones with the HTC U Play and HTC U Ultra, which were introduced at CES and will be aimed at the mid-range and high-end markets respectively, and these will be joined by other phones throughout the rest of the year. How do they manage to still be in the business at all? The only HTC product I ever had was the first Desire, I liked it a lot until the promised 2.3 update was cancelled. After that I switched to iPhone 4s, switched to GS5 (worst decision ever), Lumia 950 and then to Honor 8. I think the Desire was probably the most expensive phone I ever had, my first Nokia might have cost the same. But the Desire still works but I don't wanna use it because it's pretty slow and Android 2.3 beta is still rather buggy. This is good. HTC is pretty terrible at making entry to mid-level phones. They always manage to ask ridiculous prices for phones with bottom-of-the-barrel SoCs. Just look at the $200 Desire 650 and $300 Desire 10 "Lifestyle" launched a couple of months ago with a Snapdragon 400 (four hundred). That's a 3 year-old low-end SoC.